Perfect if you are just a few thousand miles short of your next award trip. 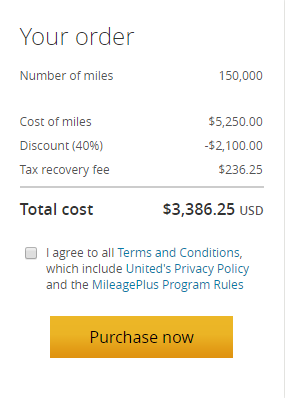 You can apply these miles toward award travel on United® or any MileagePlus airline partner, or toward upgrades on United. Get to the beach sooner with up to 40% off when you buy miles.